← Paris, Amsterdam? To Accept or Not to Accept. That is The Question. House in the middle of Kings Loire Valley – It’s for Free! 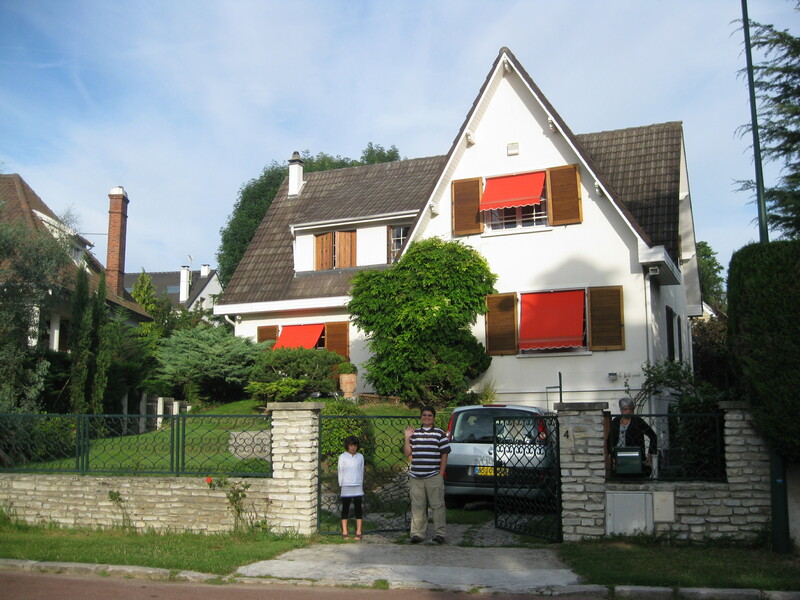 This was one of our first home exchange homes outside Paris, France, back in 2009. It was lovely! Last week, I indicated that I would be posting any/all of the home exchange requests that I receive, so that you can get a feel for the frequency and quality of the exchange offers that I am privileged to choose among. As I mentioned, my family plans to travel for at least a month next summer, and we plan to arrange at least one but hopefully two great home exchanges. In my last post, I showed you my offers from the Paris and Amsterdam areas. I just received another offer from France. This offer is for a five bedroom home, which sleeps up to 10 people, and is located in the desirable Loire Valley, near Tours. The house has two of my favorite amenities, an in-ground pool, and a car exchange, and is situated in a perfect location to tour the Chateaux of the Loire – and to visit Paris on day trips! Since it is possible that my family may travel with as many as 10 people next summer, this home is definitely under consideration. At the moment, we are waiting to see if our friends, another family of four, is going to accept our offer and join us next summer. I’ve had to give them a deadline of next weekend to decide. Since offers are starting to pour in, I have to know if I need a bigger house, such as this one, or if I can accept a more desirable offer of a smaller home, if/when one comes in. I actually really love the Amsterdam offer that I mention above, but it’s too small for both families. The hardest part about home exchange is deciding from so many wonderful offers! Past business and IT professional turned travel writer, blogger, speaker and coach. Huge supporter of the Peer Sharing Movement, especially as it relates to making the lives of families richer in culture and travel. Author of Have Home Will Travel, The Ultimate International Home Exchange Guide for Families. This entry was posted in Uncategorized and tagged amsterdam. Bookmark the permalink.